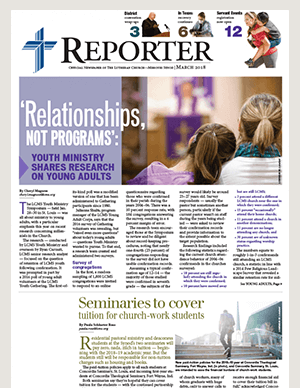 Reporter is the official newspaper of The Lutheran Church—Missouri Synod. 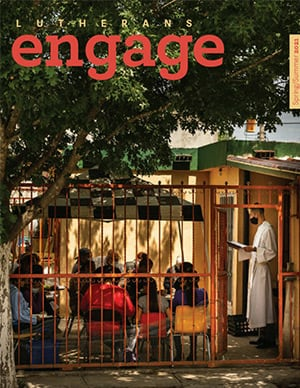 The print edition and reporter.lcms.org provide ministry news, commentaries, movie reviews and other resources for rostered church workers and laypersons. 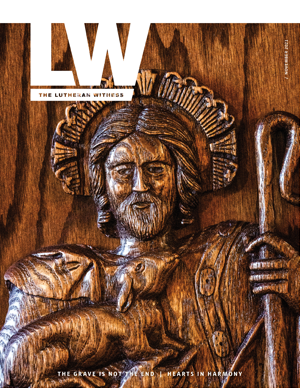 As the Synod’s official magazine, The Lutheran Witness features stories and commentaries that interpret the contemporary world from a Lutheran Christian perspective. Learn to think and speak like a Lutheran on topics of faith, culture and family. 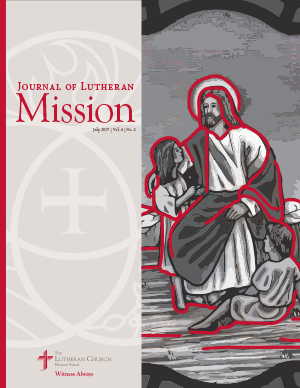 A quarterly publication of The Lutheran Church—Missouri Synod that engages the Church in the work of witness and mercy across the globe in our life together. 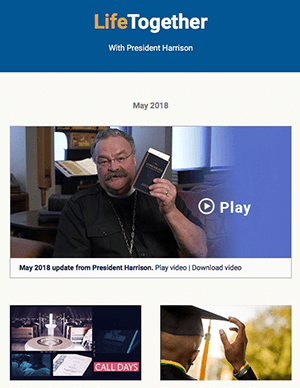 Through this monthly digital news digest, President Harrison shares highlights from Synod publications and multimedia outlets. There is something for everyone — pastors, church workers and laity. Everyone will find useful news and learn about ministries and resources that will help equip us in our life together.